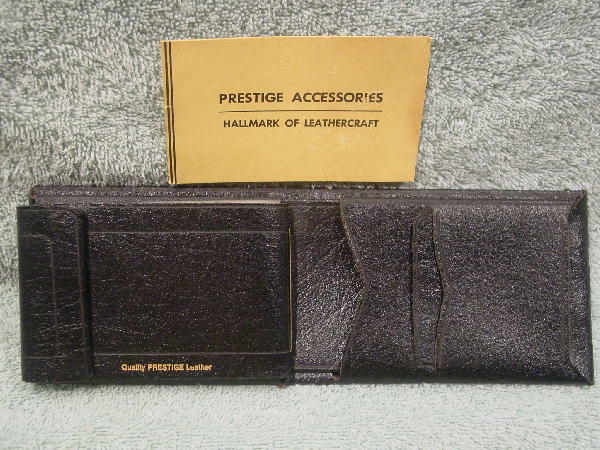 This never-used vintage black leather men's billfold wallet is by Quality Prestige Leather. The leather has a slight texture to it, and the leather is stiff since it was never used (folded). 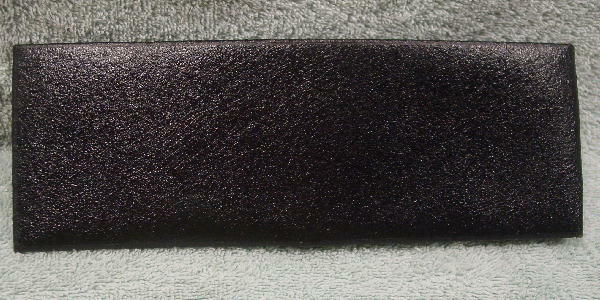 On the left side of the interior is an area with 4 plastic card/photo holders with a one snap closure with a black brushed cotton lining. On the lower front of this section is Quality Prestige Leather in gold-tone letters. 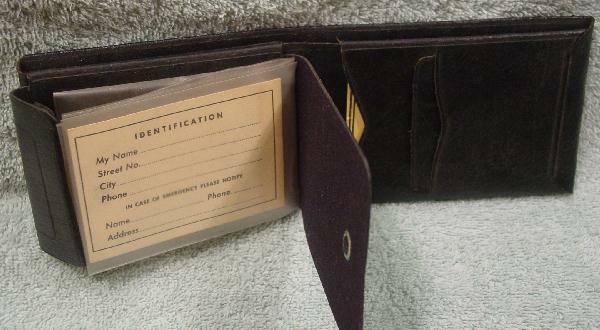 On the right interior side are 3 slot compartments, one holding a manufacturer insert card. 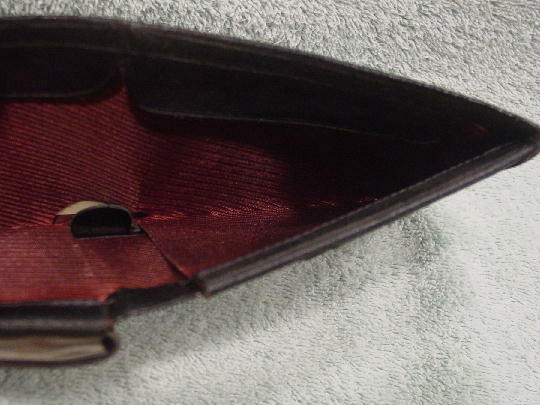 The interior back dollar bill compartment has a wine color fabric lining.